It’s never too late, unless you’re dead. Have you ever felt like it was just too late to do something you have always wanted to do? Too many obstacles? Too little time? This story and photograph, thanks to Humans of New York photographer, may change your mind about that. 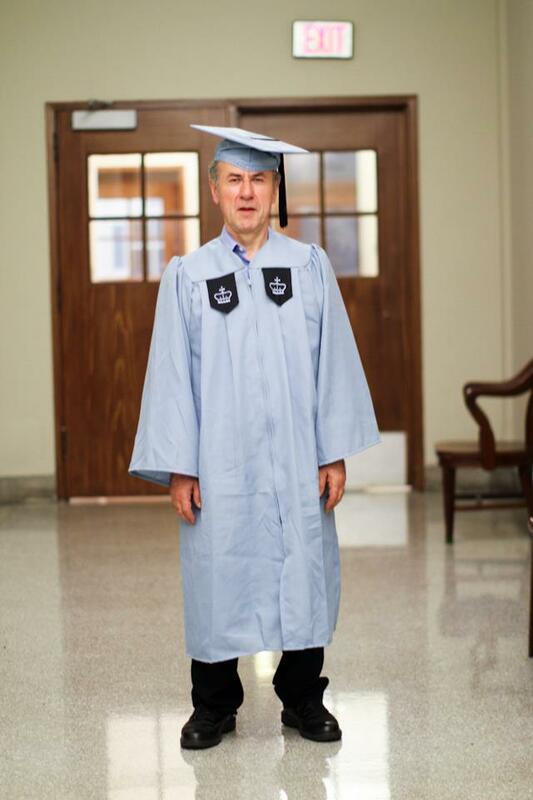 Gac Filipaj is a Yugoslavian refugee, who, for the last 12 years, have worked as a janitor at Columbia University. In between cleaning toilets, emptying trash cans, and working late shifts until 11pm, he would study. This May, after 12 years of hard work and perseverance, Gac completed his Classics degree and graduated from Columbia University. With honors. Congratulations to Gac! He could do it. So can you. There is never too many obstacles. There is never too little time. It is never too late to live your dreams. Start today.